We’ve been on the Bandcamp tip since the day they opened, back when the founders were working at the local library. We’ve seen them grow steadily as they provide the best service for independent artists to connect directly with fans and keep more of their revenue. Now they are coming out swinging with a new vinyl pressing service that works. It’s a challenge for artists to get to the threshold to do a vinyl pressing, and just as challenging for us to put every title out on wax. Now fans can support an artist by preordering vinyl and once they reach the magic number the pressing begins. Check out the announcement here, and dig right in and get your copy of Ancestral Recall from Christian Scott aTunde Adjuah cued up. Emanuel Casablanca writes songs; he aspires to write and record them as they were made in the classic times in history, yet keep them relevant to today. His new record, It’s Getting Strange, is a tight collection that hearkens back to a time when artists sought to directly convey their feelings in an effort to connect with the listener. The themes are therefore familiar; love and loss, peace and hope. The style can best described as old school rhythm and blues, with a heavy emphasis on blues. His voice is transcendent, and his guitar licks are deliberate and never overwrought. The record is a refreshing change of pace from the frantic sounds of today. It’s Getting Strange hits on May 17, preorder and a taste coming this Friday. In the great city of New York there’s a man (with a formidable beard) who knows music like few others. We are speaking of Andrew Neesley from Jesus On The Mainline; vocalist, trumpeter, producer, designer are all titles he can safely claim, and now we will add curator to that list. You can’t have a worldwide celebration of music without including Brooklyn, and we are ready. On April 23 we kick off our monthly residency at The Brooklyn Bowl. Dubbed The 21Soul Sessions | Soul At The Bowl, the inaugural show will be a banger. 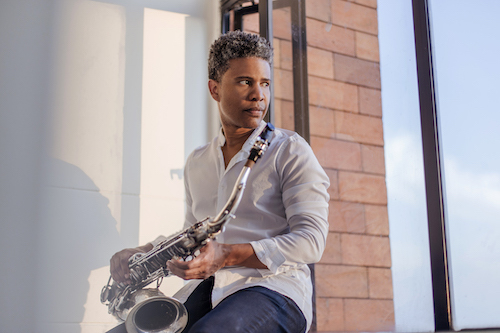 Paul Beaubrun, Vivian Sessoms, and Emanuel Casablanca will mix it up in a night of soulful reflection and celebration of diversity. The 21Soul Sessions are unique musical experiences; established, world class players and young guns mix it up with a broad range of styles intended to break down the social construct of genre as a divisive term. Musicians today have become world travelers and ambassadors who not only bring new music to new places, but bring their worldly experiences back home to their community. The Place To Be. Get Loose. Get Free. Classically trained and groomed on the Jazz circuit in New York City, vocalist Kat Vokes studied with Marlene Rosen and Tim LeFebvre and has performed with Pete Zimmer, Pablo Menares, Edward Perez, Felix Lecaros, Nitzan Gavrieli and Uri Gurvich. Her debut record, Clockwork, is an ethereal and complex work that presents her unique style. Kat uses her instrument as if she were just another band member, seamlessly flowing with the rhythm to enhance the soundscape rather than standing in front of the band. The album moves from driving Jazz groove to longing ballad, often layering her vocal for dimension. The result is an otherworldly feel, as if we were traveling to a distant planet and witnessing space unfolding along the way. Clockwork is set for release on May 3, with preorder beginning Friday, April 5. Check out these cats in NYC! We met them when they asked us to host a show for Brooklyn Radio, and now we’re teaming up for a Ropeadope retrospective series as we head down the last lap of our 20th year in this crazy game called the music biz. Twelve episodes of deep dive into the catalog have us digging into the archives and connecting the dots. Start below at Episode 1 for some major milestones in the history; and then jump into that Ropeadope groove right here. Next month we’ll take a solid look at the roots music that happened to show up on a Jazz (notjazz) record label. Back in the early days of Ropeadope there was Bullfrog, with Blurum13 and Kid Koala mixing it up. To say the album was ahead of its time, well ya know. As we dig into the archives to celebrate our 20th we find those tracks fit perfectly right alongside releases from 2019. And now we are stoked to say that Blurum13 is back, and he’s brought his friend - the great and always mysterious Luke Vibert - with him. Together they are the defenders of righteous old school Hip-Hop, and the new album from BLUKE is set for May 24th, but we’ve got a little taste headed your way at the end of this month. Stay tuned here or drop in on Blu right over here. Darren Hoffman is a multi-instrumentalist and music producer originally from Miami, Florida. He grew up playing guitar in his youth, greatly influenced by Jimi Hendrix, Albert King and Nirvana, but switched to drums when he was bit by the jazz bug in his early twenties and relocated in 2007 to study percussion at the University of New Orleans. Hoffman began hanging out with Powell at places like Donna’s Bar & Grill on Rampart Street; the pair hit it off and began a friendship that ventured far from the classroom. While Shannon guided Darren in music and street-smart professionalism, Hoffman introduced Powell to new technologies and 21st century music industry practices. While many students of music today study almost entirely in the world of academia, Darren had the unique experience of being mentored by a living legend in a more traditional way, doing odd jobs and handling business for Shannon in exchange for knowledge and musical guidance. When Darren enrolled at UNO, he had all but forgotten the guitar, focusing on his career as a professional drummer. One afternoon in 2009, Darren pulled out his guitar and jammed through some blues tunes with Shannon. Taken aback by what he heard, Shannon proclaimed, “Man! We gotta record!” This chance riff resulted in the 2017 release simply entitled Blues, a stripped down interpretation of raw blues with a modern edge. The success of that record led to a natural progression toward their new collaboration, Love Songs. Here we find Powell and Hoffman stretching out, but not relaxing at all. The mood is highly charged and powerful, with Powell hitting hard and Hoffman shredding like a chainsaw on razor wire. There are some subtle love songs on Love Songs, but many tracks that speak to the full experience of love - the energy, the tension, the elation and the agony. Love Songs is a concept album telling the story of the interpersonal relationship: starting with the end of one love, the discovery of a new- and the inevitable passing once again. Classic tracks are included to keep the concept in context - from Louis Jordan’s “Caledonia” and Nirvana’s “tourette’s,” to Fats Domino’s “Sick and Tired” and Jimi Hendrix’s “Jam 292.” It’s a wonder to see this unlikely Uncle/Nephew duo chart new territory with full appreciation of the past.